Chicken salad has always been one of my favorites, and I used to slather on the mayonnaise to get it to taste just right. Nowadays I have found a better alternative to mayonnaise, and I’ll share that here. · Your favorite spice to give some flavor. I use Mrs. Dash to keep it simple, but you can use anything you’re fond of. Cook the chicken any way you like. When the weather is nice I prefer to use the grill, but if that’s not possible I sear the chicken in olive oil on top of the stove and then finish it in the oven. For the “mayonnaise” simply mash the avocado and add the orange juice and garlic and stir until you get a creamy consistency. 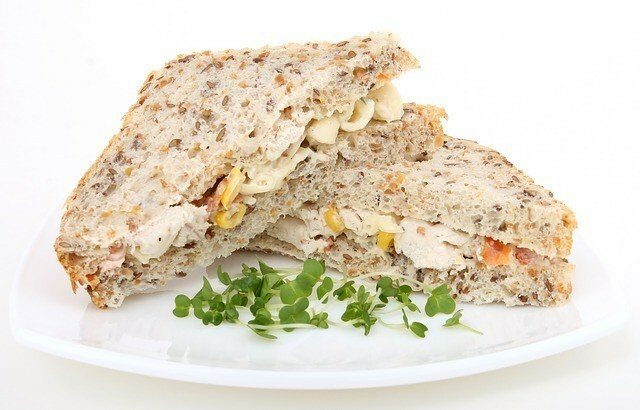 Cut the chicken up into small chunks and combine with your healthy mayonnaise. That’s it! You can enjoy this chicken salad in a whole wheat wrap with some mesclun greens, or on top of any kind of salad greens . It’s delicious!